Multiple sources have confirmed that new Hawaiian Airlines routes are about to be announced. These will use the company’s new A321neo aircraft. 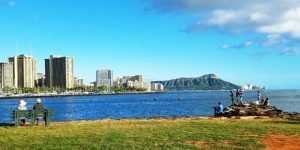 Daily flights from Long Beach to Honolulu are set to commence on May 31, 2018. Depart Long Beach airport at 830am and arrive Honolulu at 1140am. Depart Honolulu at 1230pm and arrive Long Beach at 9pm. While flights cannot yet be booked, the Hawaiian Airlines website now lists Long Beach as a direct service airport (image below). This will be a code share in conjunction with partner JetBlue. Stay tuned for any cheap flights to Hawaii associated with this news. 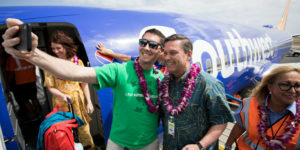 Could this be a shrewd preemptive move against upcoming Southwest Airlines Hawaii flights? Read on. We first learned that the new route was added Sunday to the OAG (official airline guide) schedule. OAG maintains a professional database of nearly one thousand airlines and their flights. 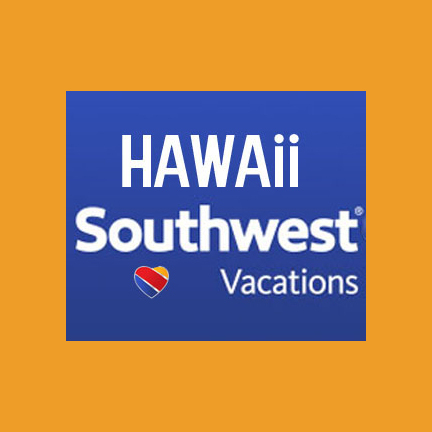 It showed up next on another airline routes database, and was subsequently noted as a direct service airport on the Hawaiian website. Today, January 8, is set to be a big day in any event, regarding new Hawaiian Airlines routes. It marks the inaugural trans-Pacific flight of the company’s A321neo aircraft. That will be operating from Maui to Oakland. Beat of Hawaii editors Jeff and Rob snagged seats and will be on board. Beat of Hawaii will subsequently be providing a complete trip report, including all of the details about the new Airbus A321neo aircraft. Long Beach has never had direct service to Hawaii. Nearby Orange County airport, John Wayne, however, has previously had flights to Hawaii. Those were on both Aloha Airlines and United. John Wayne, however, has operational issues among other things, that make it less desirable from an airline point of view. There is a huge nearby audience for new Hawaiian Airlines routes operating out of Long Beach. It is easy in/easy out when compared with heavily congested LAX. Hawaiian partner JetBlue has operated out of Long Beach since 2001. Using that airport further opens the possibility of more code share services to other JetBlue locations. Those could include one-stops from west coast cities plus Las Vegas, Salt Lake City, Austin, Fort Lauderdale, Boston and New York. Competition at Long Beach Airport. In recent years, JetBlue has faced competition at Long Beach from new Hawaii entrant, Southwest Airlines. The question is, could Southwest also be poised to introduce Hawaii flights from Long Beach? We will update you with any further details. Love your blog. Has me so excited for our trip. We are stopping over in Disneyland on the way over to Hawaii (from east coast). I need to leave July 9th for Hawaii. I have a bad hip and was thinking of flying first class. $800 seems really high. 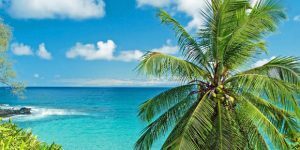 Would you recommend Hawaiian hands down or would another carrier with a nice first class be doable? Doesn’t seem as though Hawaiian’s new plane is getting great reviews on first class for the price….I could either fly LAX or Long Beach. THANKS FOR THE ADVICE! Complicated question. First class and which airline is very subjective. Hawaiian does have lie-flat from LA on their A330. While we haven’t flown on the A321 in first, as we said, it looked very nice, and nicer than we were expecting considering it is not lie-flat. We wouldn’t hesitate to fly first on any carrier. 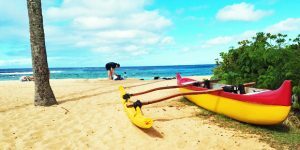 Hawaiian has “bid up” to 1st, wherein you can bid starting in high $200’s for upgrade. But whether or not you’ll get it is based on availability and other people’s bids. Lastly, as for $800, you’re flying in July, which is high season, so price seems relatively fair. This is good news! Do you think they will fly from Long Beach to Lihue at some point in the future? Thanks! That will probably depend on popularity of new HNL route. We’d say it is likely. I hope Hawaiian Airlines starts flying out of Ontario Airport again. It was convenient when I flew out of there, parking is better than LAX and Long Beach, and the terminals are nice. The flights I took seemed full, so they should consider going back there. Did Bob Hope (Burbank) go off every airline airport destination? The flights out of Burbank were so convenient and then nothing. Burbank just like Long Beach would like flights to Hawaii and I bet the would always be full and profitable. Most amenities have been taken away . Please Hawaiian Airlines give us a look. YES! I second the request for flights out of Burbank. Wow, would my life change if SOMEONE flew nonstop to Hawaii from BUR. The problem is one of runway length. While longer than John Wayne’s, which was used for Hawaii-bound flights in the past, at 6,886 feet its just short enough to potentially impose some weight restrictions. After dealing with runway and weight restrictions at John Wayne and other second tier metropolitan airports on various routes, the airlines just seem unwilling to give it another try. Its my hope that the 737-MAX and A432-NEO will be able to reverse this trend. Like you, I’d like to see more Hawaii service from airports other than LAX. If you’ll please reread my post, yo’ll see that I was referring to Long Beach’s runway length. The “its” refers to the runway at Long Beach. Very respectfully, if you’ll reread my post you’ll see that I was referring to Long Beach’s runway length. For some reason, my prior post on this is still awaiting moderation 3 days later.